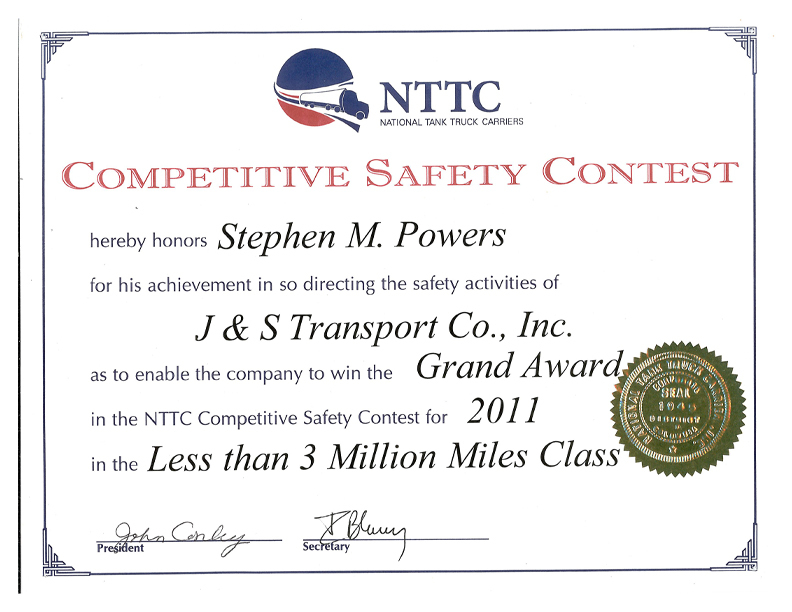 Since the last news letter we have had some changes occur at J & S Transport and in the industry. 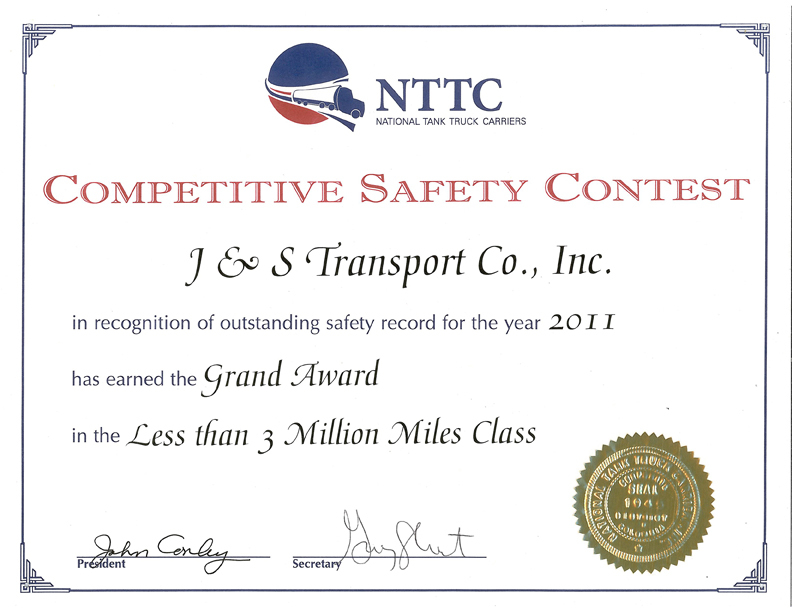 Minor changes have occurred at J & S Transport that may have little impact on how we conduct our day to day business. However, significant industry changes have occurred with the introduction of CSA 2010, FMCSA texting band, FMCSA Pre-employment Screening Program (PSP), and the most recent Notices of Proposed Rules Making (NPRM’s) that have been released by PHMSA and FMCSA concerning Hours of Service, Loading and Unloading Risk Assessment, Wet Lines and Hazmat Regulation. In addition, to the new changes mentioned above there have been new Directors and Administrators appointed to FMCSA, OSHA and the Labor Board. These new changes will have a dramatic impact on regulations and additional scrutiny on carriers and drivers. The regulatory agency changes will have a significant impact on how business will be conducted in the fuel hauling industry. We at J & S Transport have kept ourselves abreast of the regulatory changes and have immediately disseminated that information to our staff and drivers as effectively and expeditiously as possible. Be assured that as changes continue to occur it will be immediately communicated to the entire staff.